Carmel graduated from University College Cork in 1997. After graduation she spent 3 years working for an NHS practice in the UK before returning to Ireland and general practice in Blarney Street Cork. She founded Corabbey Dental & Orthodontics (Formerly Corabbey Dental Clinic) in 2004 and has built the clinic with her associates to the point it is today with a patient base of 10,000 plus. She has completed postgraduate studies with both the University of Bristol and Kings College London. She continues to attend courses and seminars as part of continuous professional development to keep abreast of the latest developments in present day dentistry. 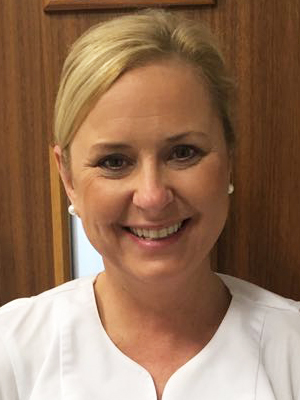 Gráinne completed her dental degree in University College Cork in 1997. Following graduation, she has worked in general practice in England and Ireland. This included working in private practice in England and Ireland providing a wide range of care to her patients in the fields of restorative, prosthetic, paediatric dentistry and oral surgery. Dr. Kieran also spent 2 years working as a Dental Surgeon in the HSE in Dublin providing dental care for children and adults which included the provision of treatment for special needs patients. 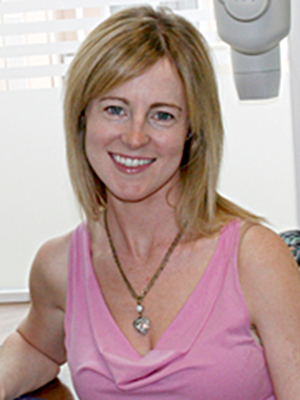 Dr. Kieran has attended courses and lectures across the spectrum of dentistry as part of her continuing dental education over the last 16 years. She completed a Diploma in Postgraduate Dental Studies (DPDS[Bristol]) in 2011. This diploma involved the extensive study of Prosthetic Dentistry, Periodontology and Oral Medicine. Dr. Kieran has been an associate dentist at Corabbey Dental & Orthodontics since 2007 providing general dental care to the East Cork community. 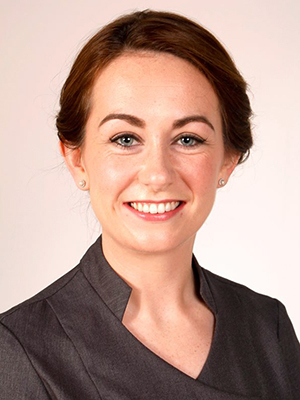 Graham graduated with honours from Cork University Dental School in 2012. During his time at university he was one of the top students in his class and achieved multiple awards including the Title of college scholar two years in a row for outstanding academic achievement and The Academy of Operative Dentistry and Manepa awards for outstanding clinical achievement in the fields of operative and restorative dentistry. Upon graduation Graham moved to the U.K. where he worked first in general practice in St. Helens and then onto hospital based practice at Liverpool University Dental Hospital (LUDH). During his time in LUDH he gained invaluable experience working with specialists in the fields of paediatric dentistry, oral surgery, oral medicine, restorative dentistry, dental emergencies and the treatment and management of those with special needs and severe dental anxiety. Following this Graham worked in a private dental practice in Australia before returning to Dublin to provide private dental treatment for companies such as AIB, Microsoft and Yahoo. In 2017, Graham was delighted to return to his home county of Cork to work at Corabbey Dental and Orthodontics. 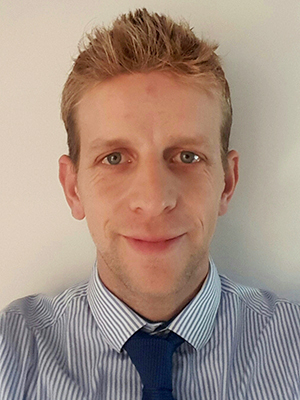 Graham is a caring and compassionate dentist who constantly keeps his knowledge and skills up to date to ensure the best possible treatment for his patients. Since qualification he has completed hundreds of hours of extra courses and conferences both nationally and internationally to enhance his skills. This included gaining the post graduate Diploma of Membership of the Faculty of Dental Surgery, Edinburgh. This diploma is awarded to those who have demonstrated they have enhanced their knowledge and skills, in all areas of denntistry, well beyond that of their primary dental degree. Graham looks forward to working with you in the near future. Emer completed her dental degree in University College Cork in 2005. 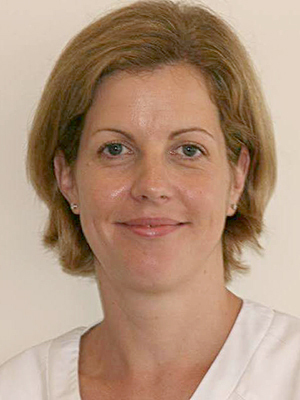 Following graduation, she worked in general practice in Scotland and Australia followed by SHO positions in a wide range of specialities such as paediatrics and oral surgery. 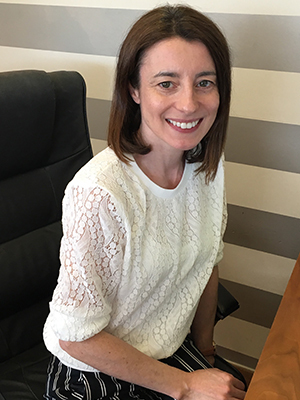 Dr O’Leary completed her MFDS exam in the Royal College of Surgeons of Glasgow before undertaking a three year orthodontic training programme in Glasgow. She graduated with a Doctorate of Clinical Dentistry in Orthodontics with merit and completed the Royal College of Surgeons of Edinburgh professional membership exam. 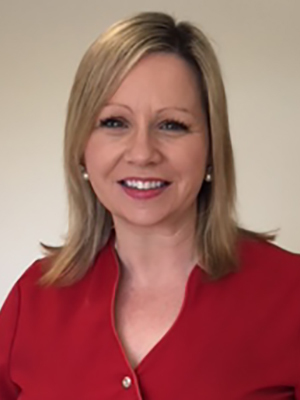 Dr O’Leary is a member of the Orthodontic Society of Ireland (OSI) and is also listed as a Specialist Orthodontist on the Dental Council’s Specialist Register in the Division of Orthodontics. She is also a member of the Irish Dental Association. Dr. O’Leary offers a complete range of orthodontic treatments for all age groups including Invisalign, white ceramic braces and short course treatments. 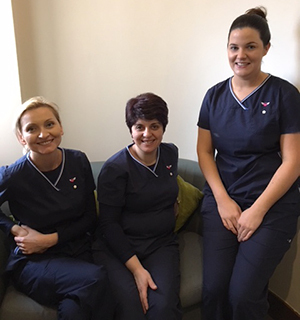 Our hygienists have all qualified with a Diploma in Dental Hygiene from Cork University Dental Hospital CUDH. Their main role is to help you prevent tooth decay and gum disease by helping you to look after your teeth between your dental check-ups. Our technician, Dorota Blawat is a very important part of our clinic. Dorota has a great eye for aesthetics and provides patients with dentures that look very natural. Her onsite presence makes the management of even the most difficult of cases much easier for dentist and patient. 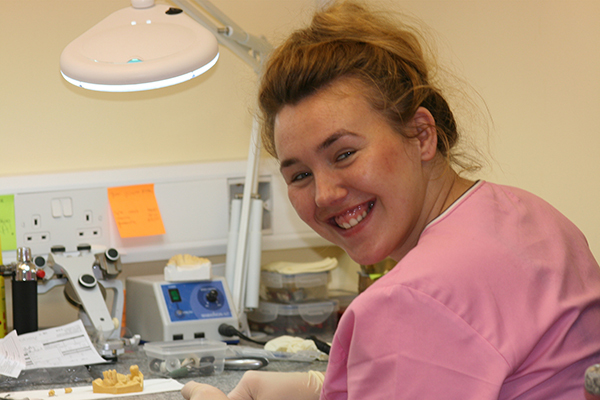 She prides herself on creating very natural and beautiful dentures for our patients. Our nursing staff, Kamilla, Monica and Carolyn will assist you to the surgery and make you comfortable. They primarily assist the dentist with the dental procedures. Miriam graduated from University College Cork in 1998 with masters in Economics. Having worked in Finance Banking for many years Carmel was delighted to welcome her sister Miriam on board in 2008. 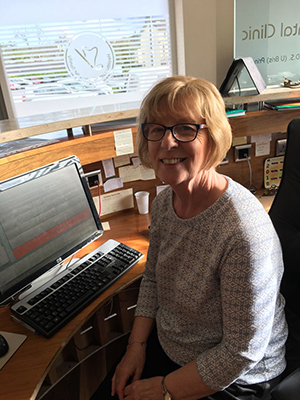 Miriam’s business expertise helps the clinic to run smoothly and since Miriam joined the clinic has grown from strength to strength. Carmel is very lucky to have the support of her mum Mary who is much loved by all the clinic’s patients. Mary looks after reception. She has helped the Clinic grow from zero patients to to over 13,000 patients in 14 years. 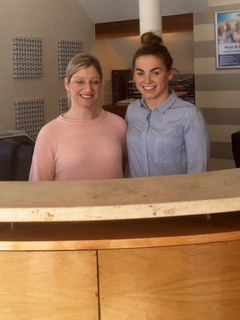 Our reception staff, Grace and Kelsey will organise your appointments and deal with any concerns/queries you may have.